Valerie Trouet takes a pencil-thin core from an old Bosnian pine (Pinus heldreichii) on Mount Olympus in Greece. Like written lines in the pages of a journal, tree rings record the weather of past seasons. Taken over long periods of time, the rings tell the history of local climate. 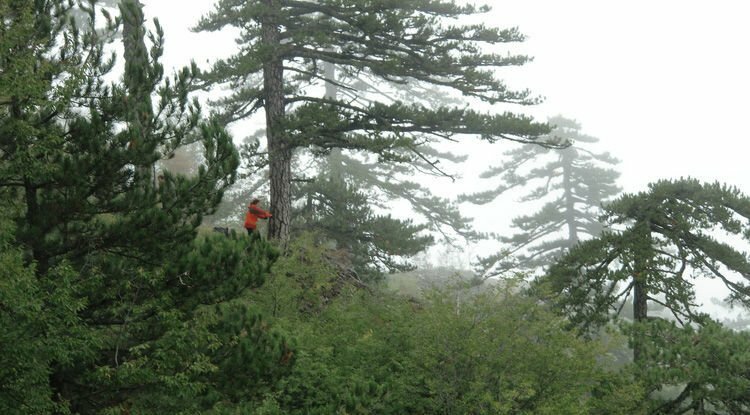 Valerie Trouet, a University of Arizona associate professor of dendrochronology, read between the lines of hundreds of tree rings to reconstruct the last 290 years of European climate history. She and her team found that extreme summer weather events in Europe including extreme temperatures, wildfires, drought and flooding have become more frequent in the last 50 years and coincide with increased fluctuations of the position of the meandering band of fast-moving wind called the North Atlantic Jet Stream. It’s not just Europe. Her investigation shows the position of the same jet stream system also influences extreme summer weather events in the American Midwest. The research was funded by the National Science Foundation, and the team also included Flurin Babst of the Swiss Federal Research Institute WSL in Birmensdorf, and Matthew Meko, a UA graduate student. 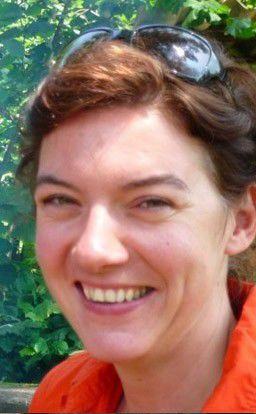 “When I moved to the UA seven years ago, one of my aims as a paleoclimatologist (someone who studies past climate) was to make my research as relevant as possible for understanding future climate,” Trouet said. Trouet tackled a long-standing question in the climate science community: Does climate change influence the jet stream? She noticed other jet-stream researchers using short time periods, preventing them from making really robust statements about the effects of climate change. “I looked to see if we could use tree rings to contribute more data to that debate,” she said, by looking further into the past. This is the first investigation of the historical path of the North Atlantic Jet Stream from before the 20th century. The part of the tree ring that grows in the latter part of the growing season is called latewood and the density corresponds with the August (summer) temperature that year. When she compared many seasons of latewood from northwestern Europe and the British Isles with latewood from southeastern Europe, she found an interesting dynamic between the two regions. When the jet stream was in the extreme northern position, northwestern Europe experienced summer heat waves, while southeastern Europe experienced heavy rain and flooding. When the jet stream is in the extreme southern position, the opposite was true: Northwestern Europe had heavy rain and flooding while southeastern Europe had heat, drought and wildfires. Trouet suspects this duality has not been studied this intensively before in the context of the jet stream. In the American Midwest, when the same jet stream system moved north, temperature rose above normal, when the jet stream moved south, the opposite was true. The team also used tree rings to reconstruct wildfire history as well as historic documents to correlate extreme weather events with the position of the North Atlantic Jet Stream. “What’s happening and what will happen to the jet stream is important because it creates extreme weather conditions,” she said, which often lead to economic loss and many deaths. Next, Trouet wants to reconstruct the jet stream’s history going back 1,000 years and use other natural records such as stalagmites, a type of rock formation created from the accumulation of drippings from cave ceilings, to reconstruct past winter climate. To get an even more complete picture of long-term consequences on the jet stream, she also wants to look at trees in the western United States to track changes in the part of the jet stream over the north Pacific — which influences winter weather here in the western and southwestern United States. Contact Mikayla Mace at mmace@tucson.com or (520) 573-4158. On Twitter: @mikaylagram. NOVA's "Black Hole Apocalypse" airs Wednesday, Jan. 10, at 8 p.m. on PBS.